Online slot games are one of the most popular offerings at casinos, which is why there are new ones released so frequently. If you’re a fan of slot games, then you may want to play the latest releases as soon as they become available. Fortunately, we know of the best slots for November 2018, and we’ve brought them together for you to read about right here. We’ll inform you of which developers they’re from, what kind of features they incorporate, when they’ll be released and more. So, feel free to read on and find out all about the upcoming slot releases for this month. NextGen Gaming has really been kicking it out of the park recently, with the selection of online slots that have been coming from the developer. Wild Plunder, which was released on November 5, has a pirate theme as its basis. While this isn’t such an innovation in itself, the graphics that the developer has chosen to use in the game are very much superior. 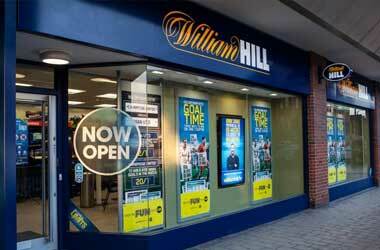 It’s got a setup of five reels and three rows, while 26 pay lines are also available to wager on. 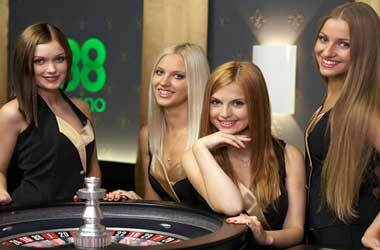 Bets between €0.25 and €625 per spin can be placed, and the game comes with an RTP rate of 96.6%. In keeping with the overall theme, Wild Plunder features icons of coins, treasures chests, octopuses, jugs of ale and more on its reels. There’s a wild symbol which is represented by the pirate, Rhonda. Additionally, the game features random perks, like the Wild Current, Rhonda’s Respin and Release the Kraken. A freespins round is also present in the game. Perhaps the theme of Nitro Circus won’t stand out to you unless you’re a US citizen. There was a television show on MTV that went by that name and it ran for four seasons. Travis Pastrana was the show’s main star, and it featured he and his friends going around the world riding their dirtbikes. 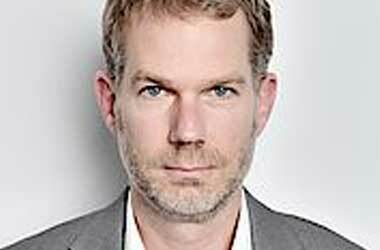 For some reason, Yggdrasil Gaming thought it would be a great idea to base an online slot game on the show. And while the theme may be fairly questionable, the inbuilt features of Nitro Circus are quite entertaining. The slot itself will be released on November 15, and it has a total of five reels and four rows. Meanwhile, it also incorporates 25 different pay lines. Bets of up to €125 per spin can be placed, and Travis and his friends make up some of the symbols on the reels. Inbuilt features of this Yggdrasil offering include a mini-game, where you select one of five different bombs to reveal a prize. These include activating the freespins mode, freespin multipliers and a nitro wild. The freespins round can also be triggered by landing three or more nitro bomb symbols on the reels, with up to 30 freespins available to win. You’ll also collect vehicles as you play the game and once you collect five of them, the Nitro Jump feature begins. Coming from the Play’n Go brand, Dragon Maiden will bring a fantasy theme to your screen. Also due to be released on November 15, players of this slot will get to see some wonderful graphics, as it always the case with this developer’s games. The return to player rate in this game stands at 96.31% and the maximum win available is €500,000, while maximum bets stand at €100 per spin. You’ll be able to start out with a minimum of 243 ways to win, while this can increase up to a huge maximum of 7776 ways to win. It will be accessible from both desktop and mobile casinos, and it features both a wild and scatter symbol to boost the gameplay experience. The fun doesn’t end there though, because Dragon Maiden also includes a freespins round, intriguing re-spins and expanding reels for you to enjoy. If you have a preference for experiencing high-quality graphics, then Crystal Rift from Rabcat could be the slot to watch out for. This one will be launched on November 21 and it will feature five reels and three rows to play on. The beauty of this slot is that it also features cascading reels to assist you with forming more wins on each spin. There are 25 separate pay lines in the game that you will be able to wager on, with bets of up to €50 per spin being available. You can win up to 1,000 times your stake as a maximum and the game already has an RTP rate of 96%. Alongside all of that, the game incorporates a wild symbol to help with forming wins and something known as a Wild Grid feature. This triggers when multiple wins occur and part of the grid can be turned wild to form larger pay-outs. 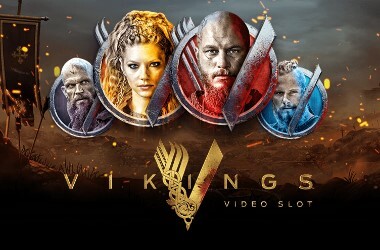 The Vikings television show was so popular and successful, that it wasn’t going to be too long before an online slot developer chose to create a game around it. Make way for the Netent team, who decided to take this task on – and boy did the developer go for it. The game takes all the thrills and delights of the television series and pumps it into the slot game, featuring characters from the show. This one is set to be released on November 22 and, of course, it features some of Netent’s greatest graphics. It also contains 243 ways for you to win, while a standard five reel, three row layout is on display. During the freespins round of Vikings, you will see the layout expand to seven reels and five rows, though. Not only that, but the ways to win will also expand during this round, to an overwhelming 78,125 ways! The symbols in the game all relate to the TV show’s characters, as well as the standard 10, J, Q, K and A additions. There’s also a Hotspot feature, a Shield Wall feature and the aforementioned freespins round to enjoy.